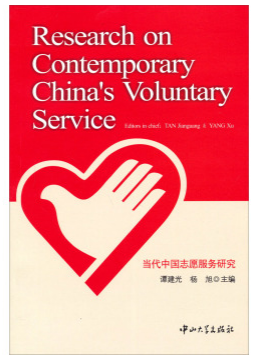 The professional group led by Professor Jianguang Tan from Guangdong Youth Vocational College has focused on researching volunteer service and ways to promote and propel it since 1995. They conducted in-depth representative case studies in the Pearl River Delta， including cities like Guangzhou， Shenzhen and Zhongshan. They also went to cities like Beijing， Xi'an， Chengdu， Hangzhou and Xiamen to do nation-wide comparative research. They provided research reports for National Ministry of Civil Affairs and the Central Committee of the Communist Young League， also for the United Nations Development Program and the United Nations Volunteers.